Often described as the lungs of Africa, the vast forest expanse of the Congo Basin is the world's 2nd largest tropical rainforest. 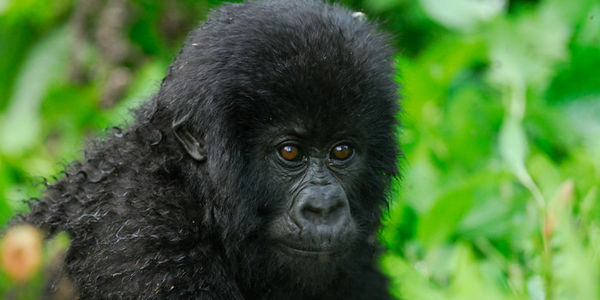 Spanning 8 countries, the forests are home to an array of wildlife, including forest elephants and mountain gorillas, as well as numerous indigenous groups. Yet, mining and agricultural interests threaten wildlife, forests and people. Large firms have been seizing swaths of forestland that were traditionally under ancestral tenure and rapidly converting them to mono-crop rubber and oil palm plantations. Such development has been widely documented as severely undermining biodiversity (a biological hotspot, the Congo Basin is home to many unique animals) and local livelihoods. Worldwide, forests are recognized for providing food and shelter and are key to combating climate change and protecting the homes of indigenous people. Community forestry is a proven alternative to land grabs. Community-managed forests have been shown to outperform protected areas in maintaining forest cover, while also providing local economic development opportunities. Training and technical assistance in sustainable forest management, enterprise development and the creating and selling of new products will contribute to viable community forestry and a sustainable future in Cameroon. The Rainforest Alliance is committed to providing this vital assistance to communities in Cameroon. But we need your support. Please, pledge today to help these efforts to combat climate change and spur local economies!